Glistening beveled glass set within shimmering brass, exquisitely defines the beauty of our new engravable glass jewelry box. Create a lovely and memorable gift to a special Bridesmaid or Maid of Honor to reflect your heartfelt thanks! 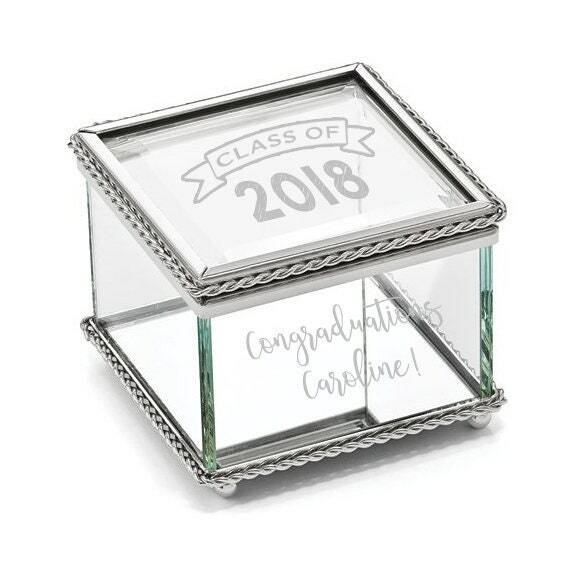 a name or short phrase can engraved into the glass of the side of the box in an elegant, font style creating an impressive and feminine keepsake she'll treasure through the years. Jewelry box features beveled glass panels on all sides with braided silver-plate brass trim accent, top hinged lid and attractive rounded brass feet. Please note that the beading on the backside of the trim around the hinges has a tiny space that is part of the intricate detail of this item. 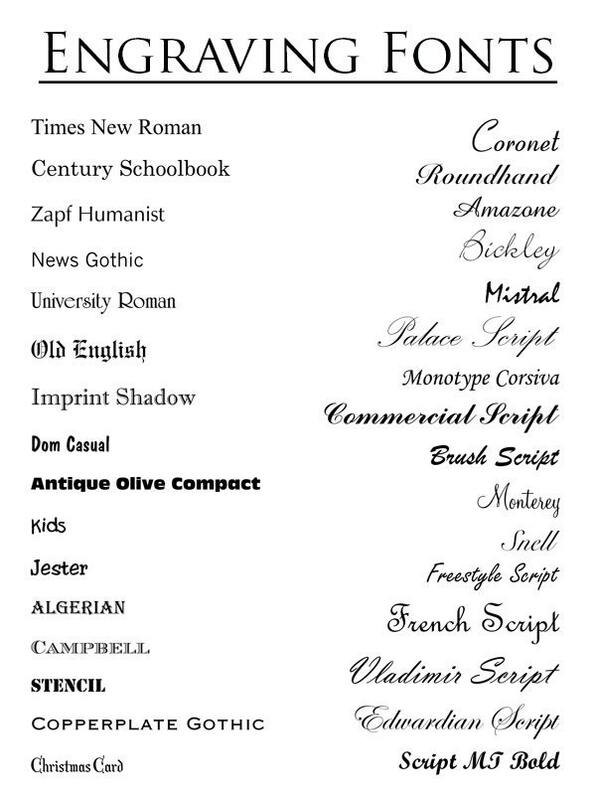 List the font you would like from the drop down selection. 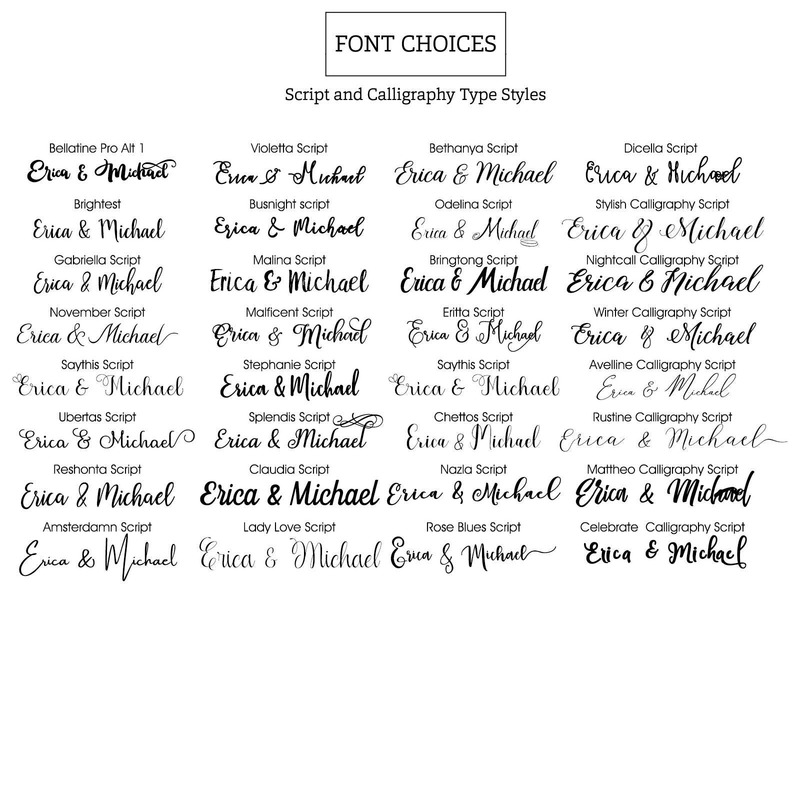 A name or monogram can be engraved into the glass lid in an elegant, font style creating an impressive and feminine keepsake she'll treasure through the years. 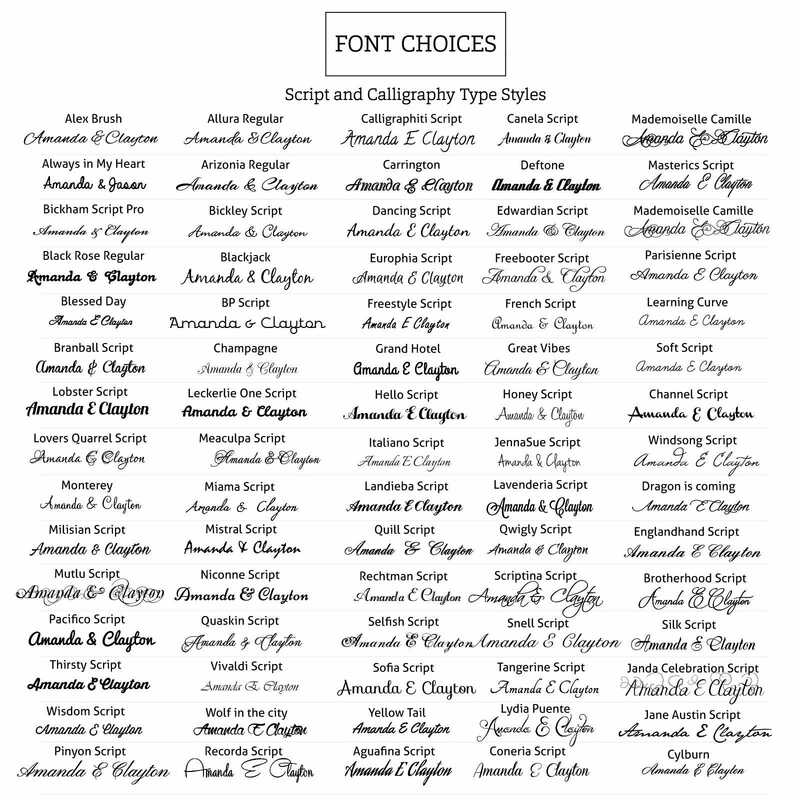 Please only use 12 characters per line. 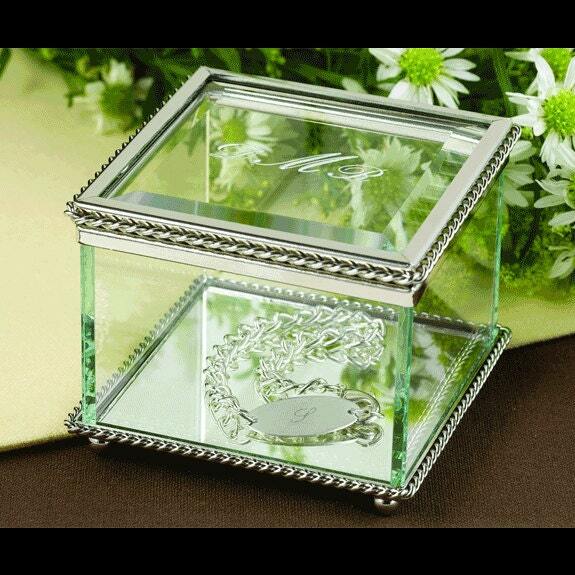 In the notes to seller list what you would like engraved on the jewelry box.